How Are Speed Limits Determined? – The Insurance Buzz! According to History.com, the first law regarding speed limits created in the United States was passed in Connecticut in 1901. The law made it illegal to travel over 12 mph in the city, and 15 mph in the country. Could you imagine if the speed limit was only 12 mph throughout the cities today? The purpose of speed limits is to control the flow of traffic. When all cars are travelling at a uniform speed, the risk of accidents decreases. Speed limits were created with safety in mind. 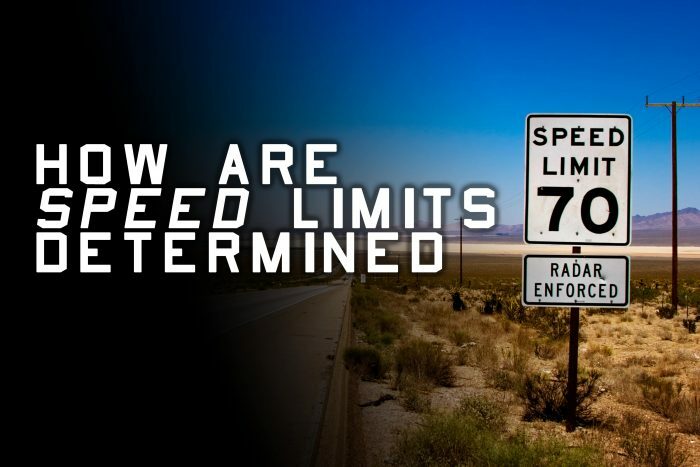 Do you ever wonder how speed limits are determined? There’s always a method and reasoning behind the posted speed limit signs. Articles from Jalopnik.com and Tampa-xway.com explain that there are studies done and data collected while deciding what exactly the speed limit should be of a certain part of town. By conducting a speed study, engineers are able to determine a safe limit. These studies take many different factors into account, such as how much traffic there is on the road, how wide the lanes are, whether there are curves in the road, how many intersections the drivers must stop at. The studies determine what speed 85% of drivers will naturally travel at without a set speed limit. Generally, the more intersections there are, the slower the speed limit. This explains why the speed limits are the highest on interstates. When the speed which you are travelling is limited, the time it takes to react or slow down is decreased, keeping you safer. Travelling at higher speed reduces the amount of control you have over the car. Losing control of your car is especially dangerous in harsh weather conditions. If you are pulled over while speeding, you are subject to a ticket with fines up to $2,000 or more, possible license suspension, possible jail time, and penalty points on your driving record. Prevent yourself from speeding. Make sure your eyes are checking for speed limit signs. While you are driving, don’t forget to check your speedometer every so often to make sure you are not travelling more than the speed limit. Always be sure to take the weather conditions into account, and adjust your speed respectively. Speed limit signs are set based on ideal weather conditions. When it is icy, you can still be considered speeding while going the speed limit if the speed limit poses a threat to the other drivers on the road. Remember that speed limits are set solely with the intention of keeping people safe on the roads. ← What’s the price of insurance fraud?